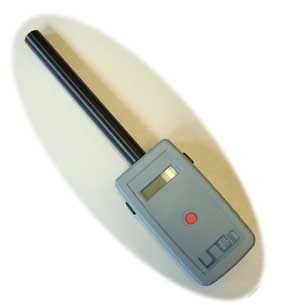 A small Pocket reader with USB interface and lengtened Antenna to point towards the animal while it remains in its cage. LID572 without any modifications. The command summary for this reader is identical. Especially large amounts of data can be transferred more rapid,and due to the higher clock speed of the processor, searching data is done quicker. The battery voltage is realtime measured and shown on the LCD. * EEprom memory expansion to 1024kb.